The ultimate tools for every outdoor adventure. Each piece offers a solid 420 stainless steel blade with supreme cutting edges. The black rubberized handles are contoured to provide effortless grips. Each includes heavy duty nylon sheath. I own a smaller version of this and it's edge was dull as heck, had to put a good sharp one on it. This is a great axe for the price. The item showed up in great condition, just wish the blade was a bit sharper. Small but effective, came sharp and holds edge good. But it is quite small so don't expect to chop down a tree. This little axe is perfect for what I needed. It was nicely sharpened when it arrived and works well. 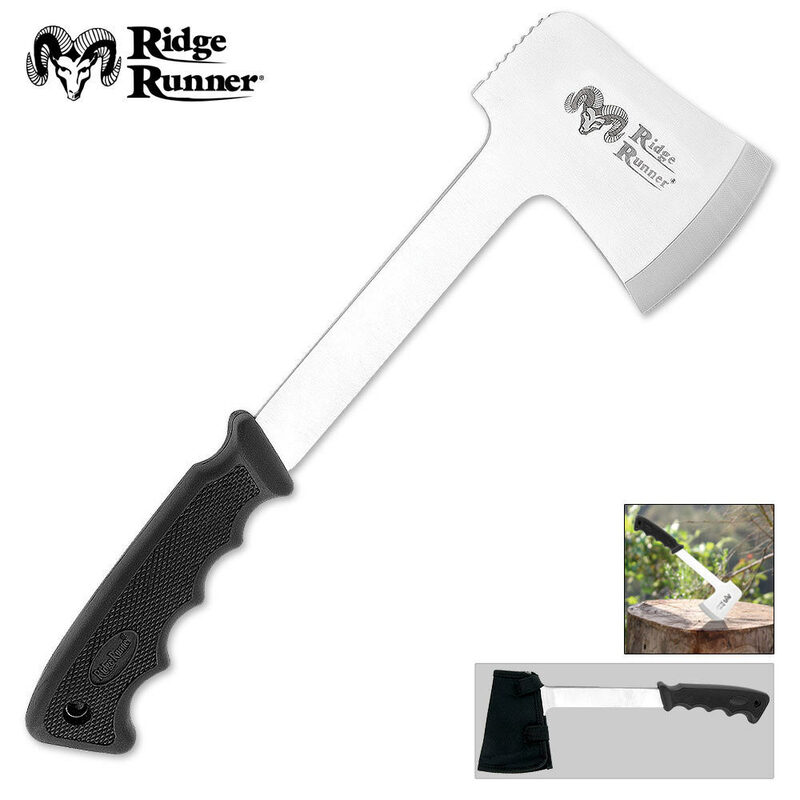 It might be a little small for someone to use for a camping trip but works perfect for removing small branches and removing the bark from limbs that I use in my workshop. I also use it in combination with a hammer to split up to 6 inch blocks for the Christmas ornaments that I make. The solid steel construction makes it perfect for prying the two halves apart once it is initially drive in with the hammer. Geat item overall, very sharp, and i love the sheath it comes in, i highly recommend this! This is a nice little axe for $10. Not to diss on this axe, but after receiving this axe, i wish i would've gotten a better one. This one is very small and has a very small blade. 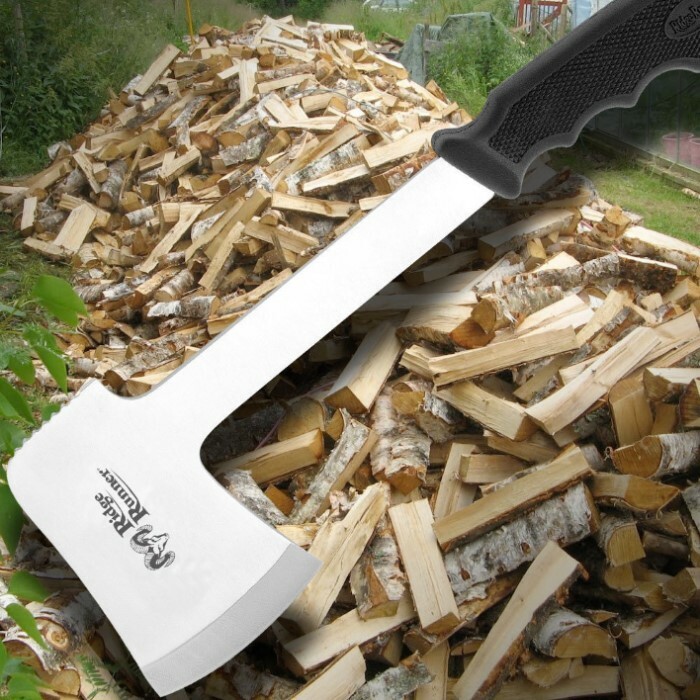 I gave it a 5 star review because it is still a very good axe and came in very good condition, as have all my other orders from BUDK.